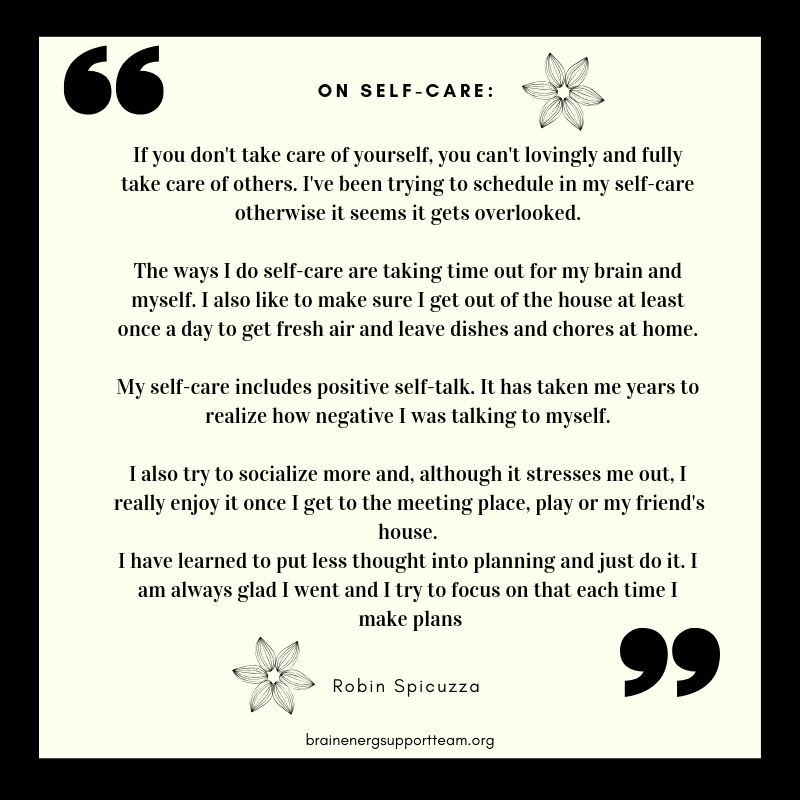 BEST Program Manager and support group facilitator and coach, Robin Spicuzza, appreciates the benefits of self-care in her life. 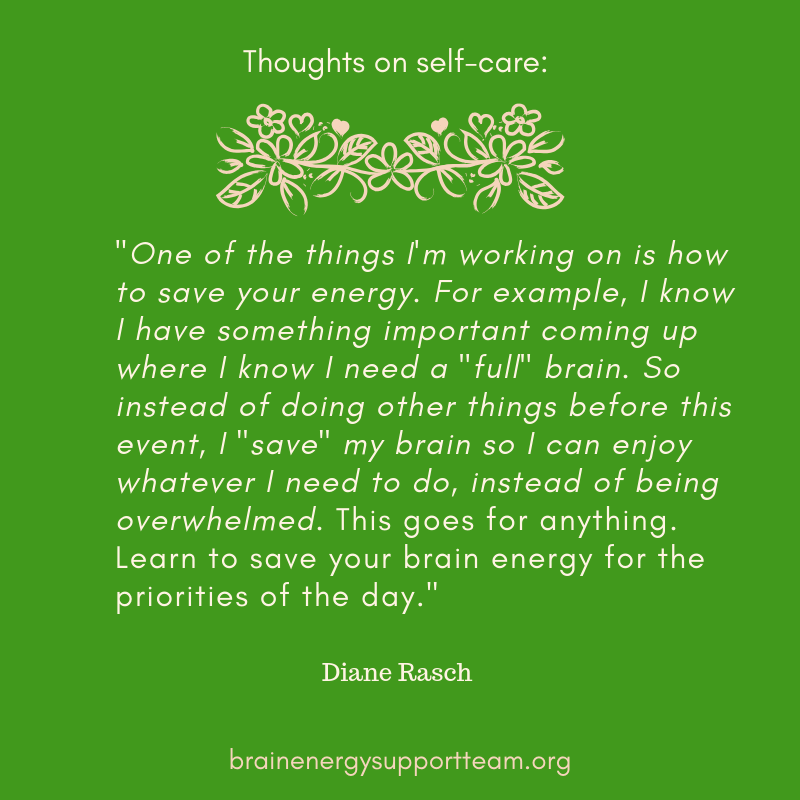 BEST Gratitude Specialist, artist, instructor, small business owner and brain injury survivor, Diane Rasch, shares her tips for self-care. 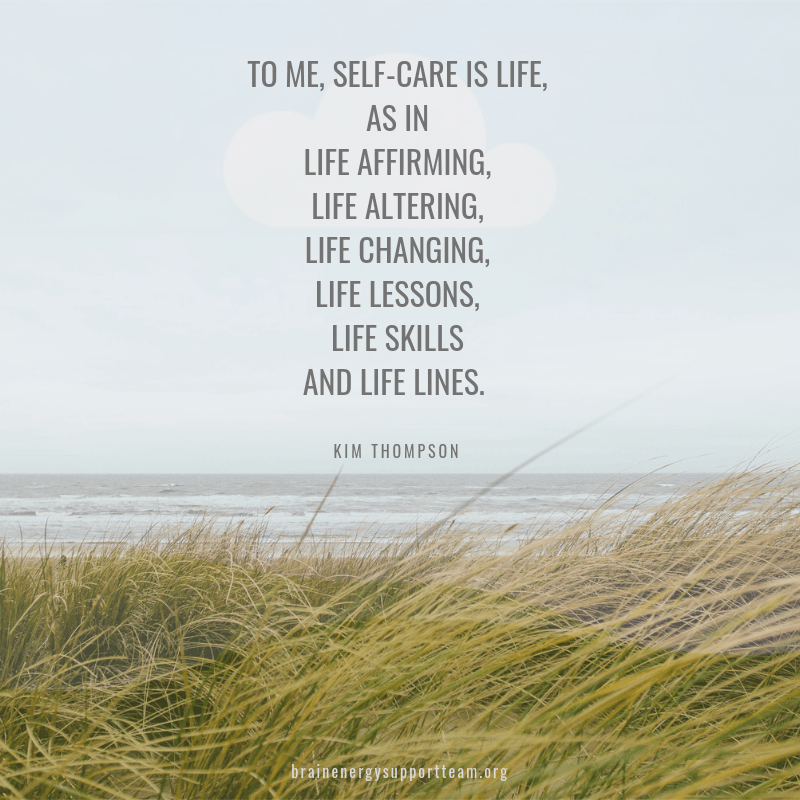 For BEST Communications Manager and caregiver, Kim Thompson (yours truly 😉), self-care really is life. 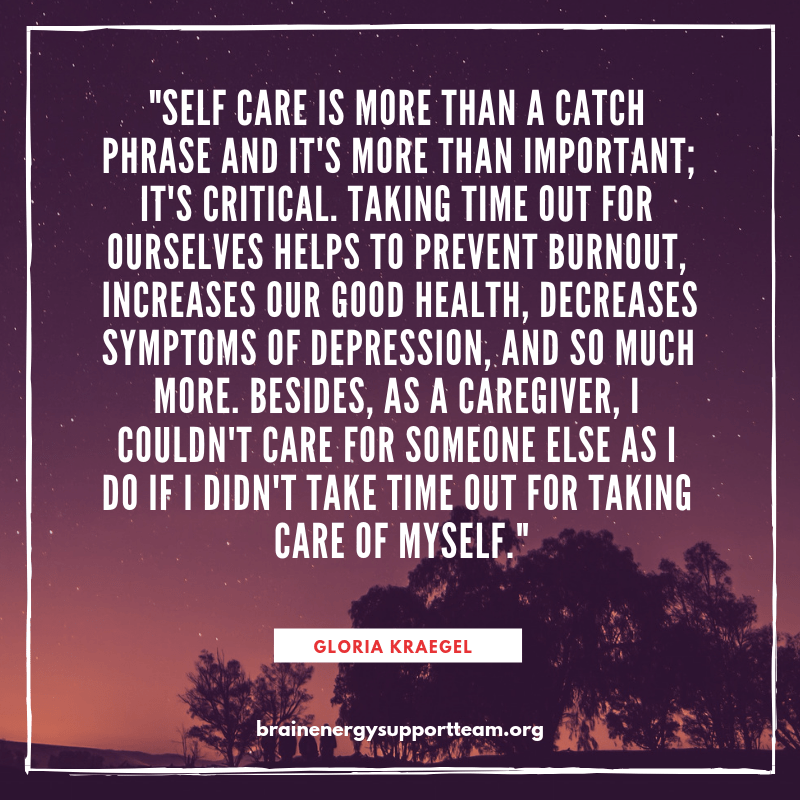 Here’s what self-care means to BEST Executive Director, educator, advocate and caregiver, Gloria Kraegel. 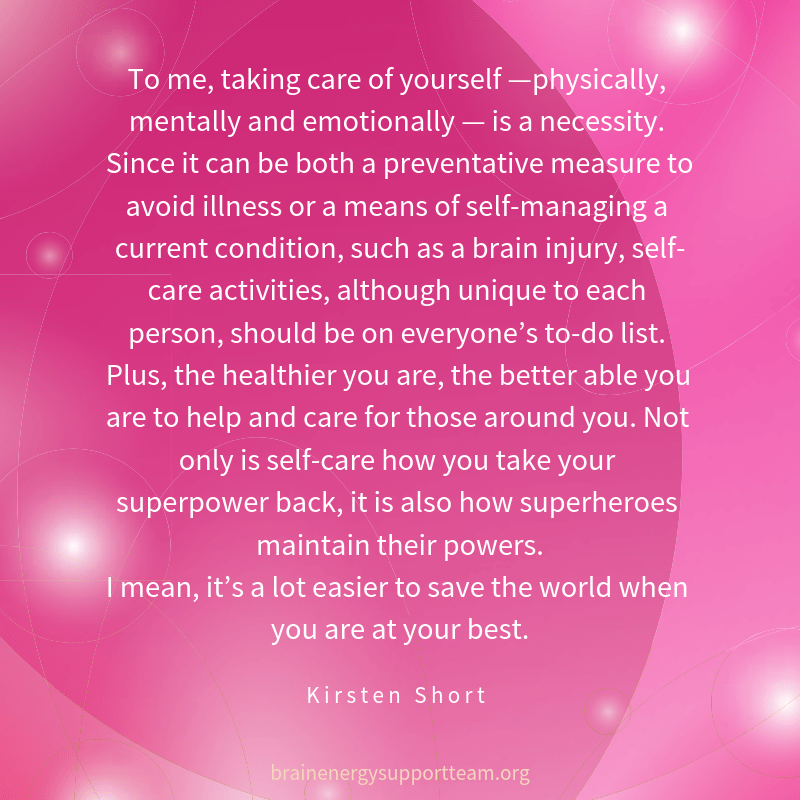 Self-care tips and ideas from writer, blogger, advocate and brain injury survivor, Kirsten Short! 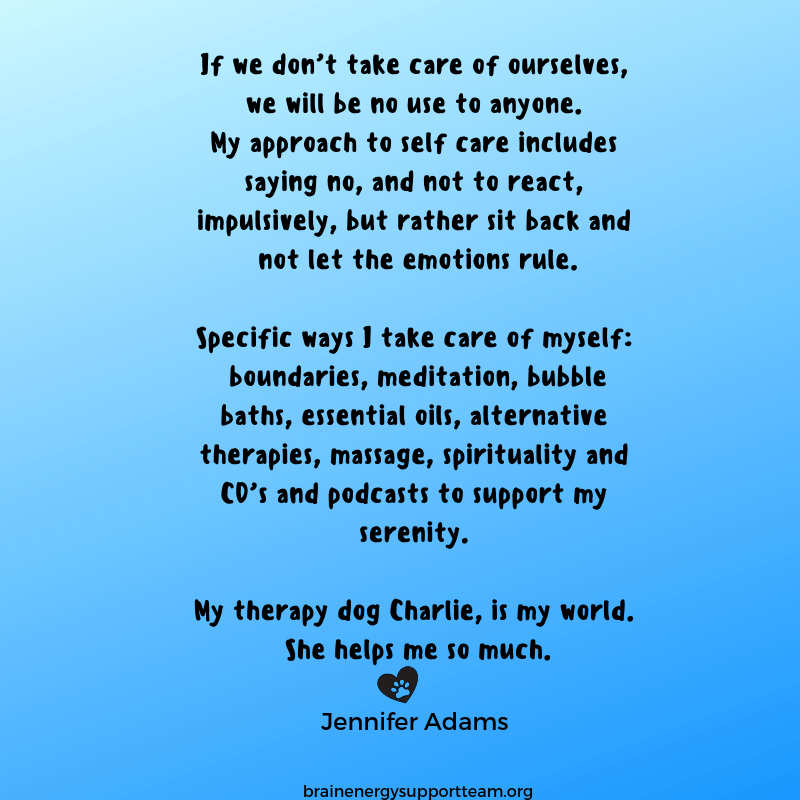 Self-care strategies from brain injury survivor and advocate, Jennifer Adams! 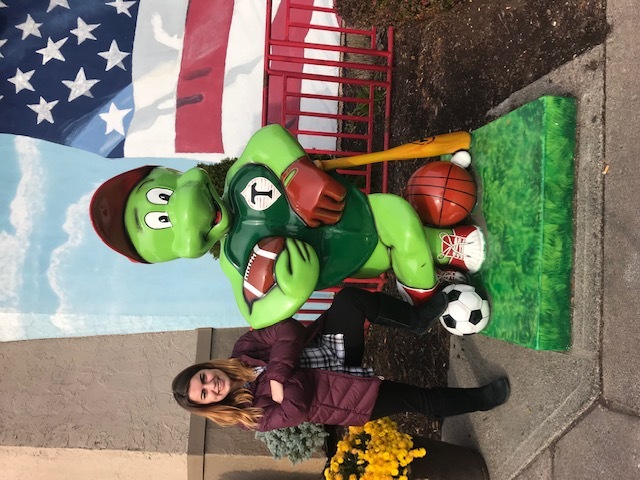 A few times while contributing writing to this blog, I’ve mentioned undiagnosed traumatic brain injury (TBI) and never really thought about it. Then, out of the blue, it occurred to me to wonder how it’s possible to have a traumatic brain injury and not be aware of it. How could you not know you have a TBI? 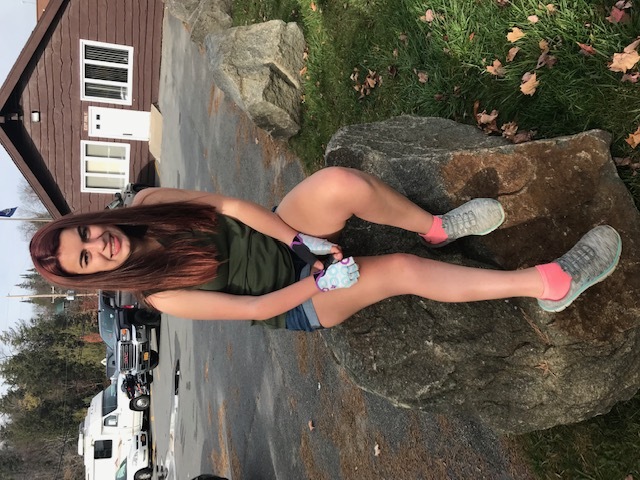 I think I was making the mistake of thinking anyone with a traumatic brain injury was as bad off as I was, and continue to be, although I’m getting progressively better. After my stroke, I was a real mess mentally and physically. In fact, I felt as messed up as a soup sandwich. How could someone make it through what I did and not know they have a brain injury? After a while I remembered not all brain injuries are alike, and neither are the symptoms. I finally looked into it out of my own curiosity. Here are some things I learned. (Keep in mind this is a broad topic and what I have here is only intended to be general information). Mild TBI: A person may experience unconsciousness for a few seconds or a few minutes; Post-Traumatic Amnesia (PTA) lasting for a few minutes. Moderate TBI: Loss of consciousness for several hours; PTA 1-24 hours after injury. 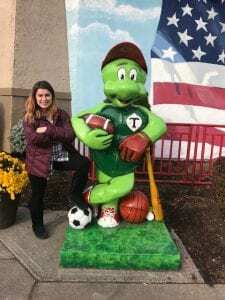 Severe TBI: Loss of consciousness for more than 24 hours, PTA for more than 24 hours. 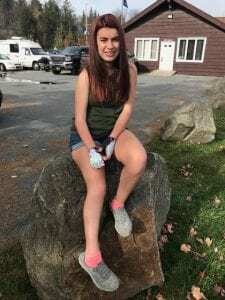 This is the kind of TBI I have. 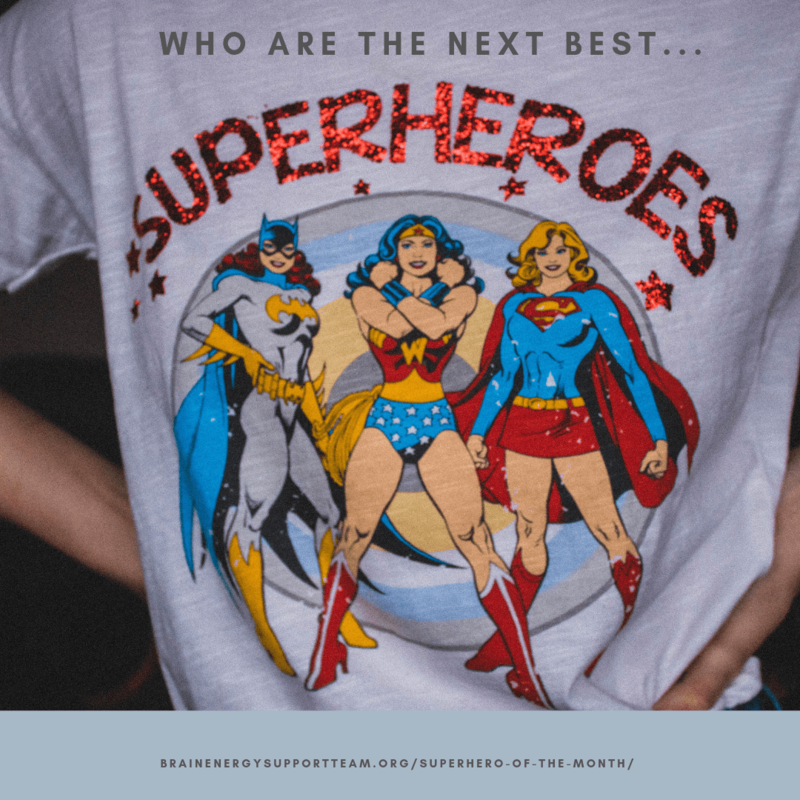 Some major causes of TBI are external force to the head, oxygen deprivation (examples are near-drowning, near-suffocation, or breathing exhaust fumes), strokes or tumors (these are called acquired brain injury)–and it goes without saying—brain damage. 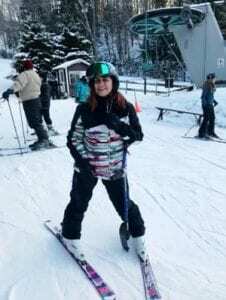 My severe TBI is a result of a stroke, which created pressure inside my skull on my brain. It put me in the acute care ward for an entire month and left me with ongoing physical, neurological and short-term memory problems. Fortunately, not all brain injuries are a bad as mine. But that doesn’t mean there’s no cause for concern. From what I can make out, people with mild TBI are the ones most likely to have an undiagnosed traumatic brain injury, so they are the least likely to be diagnosed and/or treated. Mild brain injuries can still have a negative effect on certain behaviors and quality of life. People with milder TBI may experience any number of changes—depression or mood swings may be clues that point to a brain injury, especially if they’re not usual. 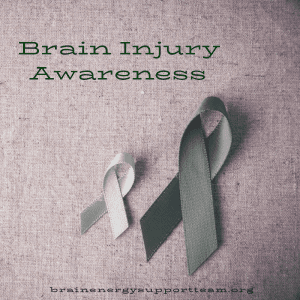 Some symptoms of brain injury may at first be diagnosed as something else entirely and distract from being aware that brain injury may be a possible cause. 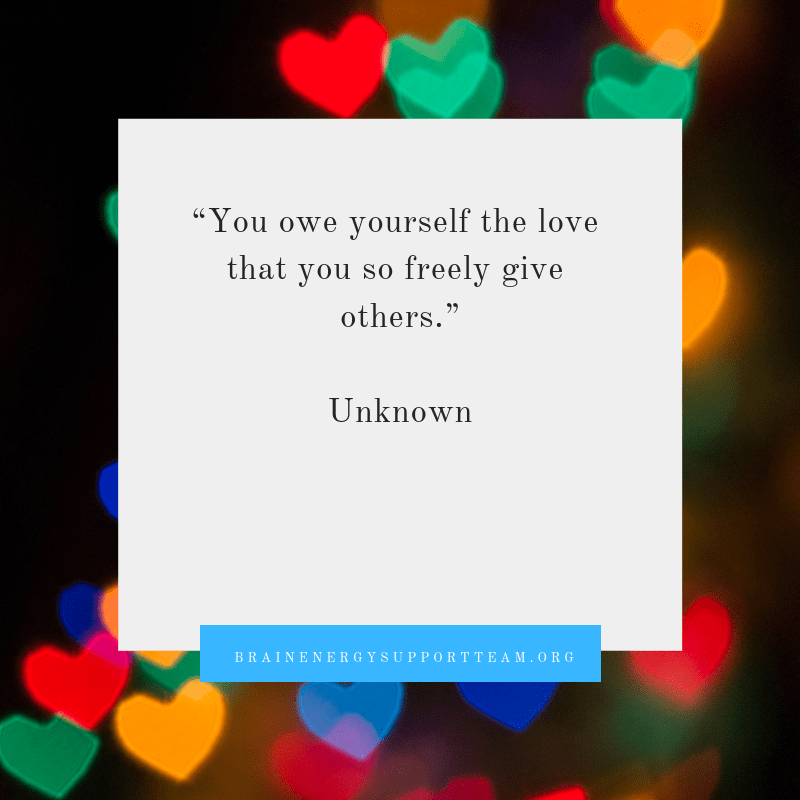 One thing that may contribute to brain injuries going undiagnosed and untreated is feeling like the onset of symptoms is just one of those things that come and go, and that they will go away on their own. Such attitudes may lead one to forego medical attention that could detect a brain injury. It may be possible to have a brain injury and not have those symptoms, however. Our skulls really aren’t as thick as people think they are; any jolt to the head that causes movement inside the skull can cause a brain injury. Or as I said before, it may be pressure inside the skull or oxygen deprivation. If you take a blow to the head, think about getting checked out by a doctor; there are diagnostic procedures I won’t bore you with. 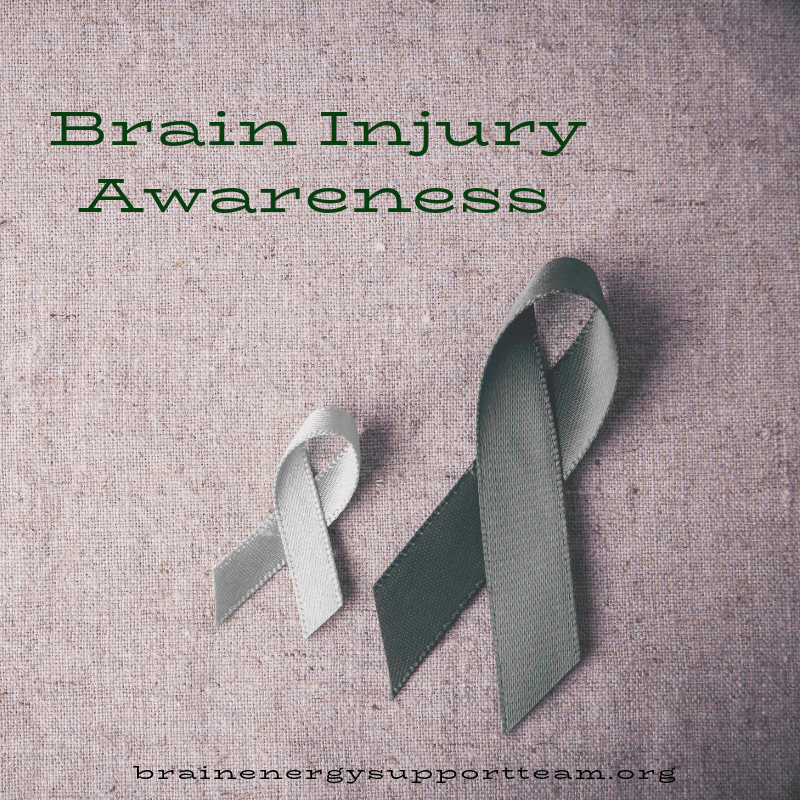 You may not have a TBI, but if you do, why not make sure and have it treated if you do have one? I advocate maintaining a relationship with your doctor and not hesitating to schedule a visit, whether you think anything is wrong or not. I’ll end here with two cliches that I think apply: what you don’t know really can hurt you and better safe than sorry. Isaac Peterson grew up on an Air Force base near Cheyenne, Wyoming.After graduating from the University of Wyoming, he embarked on a career as an award-winning investigative journalist and as a semi-professional musician in the Twin Cities, the place he called home on and off for 35 years. He also doesn’t mind it at all if someone offers to pick up his restaurant tab. Peterson also welcomes reader comments. Email him at isaac3rd@gmail.com.